Blooming Lily--Where Style is Always Blooming: Etsy Front Page! 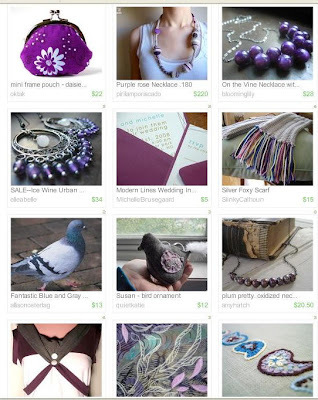 I was in two gorgeous front page treasuries today...The first was called Pale (my Peche earrings are last pair, second row) and the second was called Violet Beauregarde (my ice wine earrings are the first pair, second row, and the On the Vine necklace is from my Blooming Lily shop!). Bonus! !